Last week, I ran away from home for two days. Less than a week later, I ran away from Lagos. I had no option but to do the former. I was glad I did the latter. It all began last Wednesday when after a hard day's work, I drove home through the dreaded Lagos traffic. Truth be told, since the middle of last year, traffic on Third Mainland Bridge now flows smoothly on most days, thanks to the special lanes created where the bottlenecks used to be. I arrived in my estate in good time only to find a section of it enveloped by a foul-smelling smoke. It was already dark so I couldn’t make out the thickness of the smoke. At home, I tried everything to minimise the effect of the smoke. I closed the windows, got the generator on to power the air conditioners. It was still rather terrible. Somehow I managed to catch some sleep for the night. The following morning I left home at 5am to beat the usual early morning traffic. I had concluded that the smoke that evening came from the sprawling residential and commercial settlement of Ketu and was a one-off. 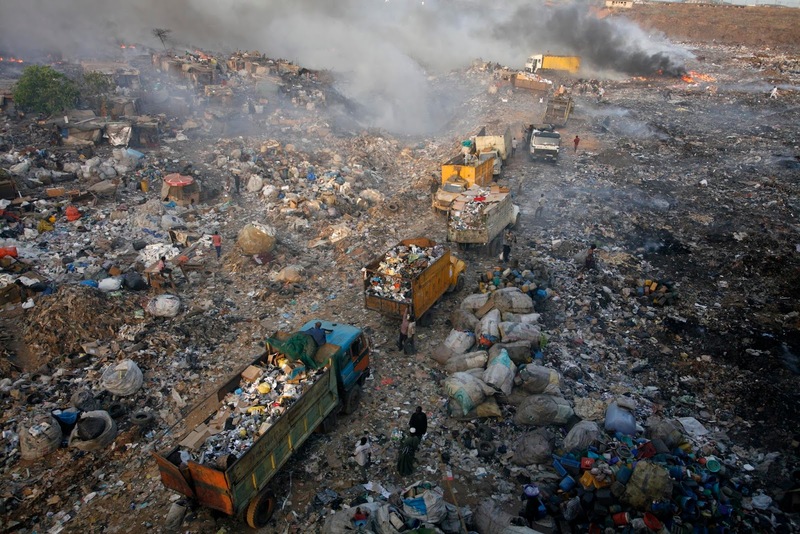 Many residents of adjoining estates who can’t afford proper waste disposal often burn their waste in their backyards. Though our estate is gated and manned, the fume from this burning activities make their way past the gates and security to our estate with impunity. Everyone suffers in Lagos irrespective of where you live. What I did not know on Wednesday was that it was not an isolated individual burning their refuse, but fume from the dump that welcomes you to Lagos at Ojota. I have always been fascinated by the creative irony of being welcome to Lagos by a well-manicured hedge that reads 'Welcome to Lagos, Centre of Excellence' directly opposite the biggest dump I have ever seen. 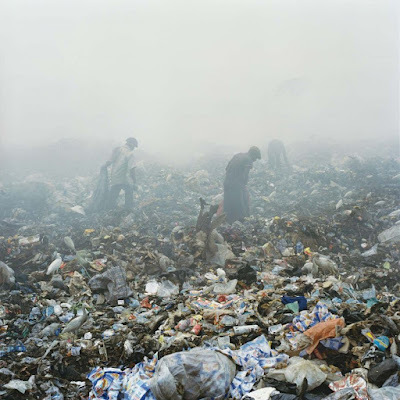 The smell from this 100-acre dump is the ever reigning presence in Ojota, Tollgate, Motorways, Ketu, Magodo, and Ikosi areas of Lagos - probably well over 10,000 hectares of heavily populated residential and commercial area. 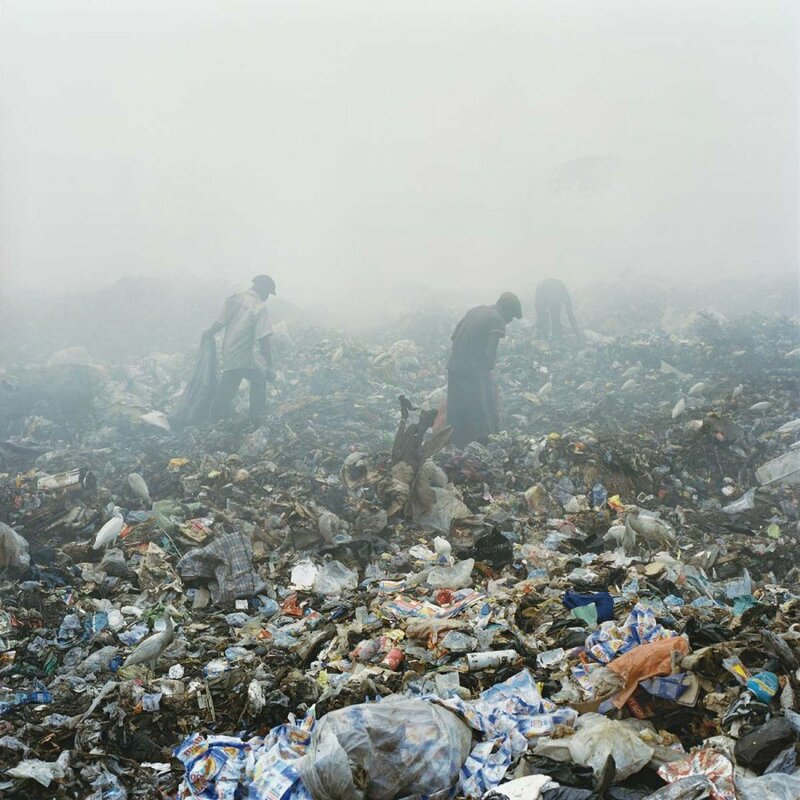 In a normal society, such a massive dump would not be sited so close to where people live. Certainly no development would have been allowed within miles of it. The following day, I came home without a thought to the smoke of the previous evening. I was soon jolted out of my complacency. This time around, the day was still bright so I could see the thick smoke writhing majestically over the sky and engulfing about a mile of the Lagos-Ibadan Expressway close to the dump. I realised this was no one-off from an individual burning their waste in Ketu but a serious environmental disaster snaking its way from Olusosun dump and consuming everything in its path. Within minutes of arriving at home, my next door neighbour on the right, a very fantastic man, rang to discuss the smoke. He told me of the baby in the next house to him that cried all night because of the discomfort of the smoke. Exhausted as I was, I knew I could not stomach another night of this exposure to danger and serious discomfort. I packed a suitcase and drove to my sister's house in Victoria Island. I was lucky I had somewhere to go. But my nagging thought was about the baby, several other babies and children, older people who, unlike me, did not have the luxury of a sister on the other side of Lagos. I didn't come back home for two days. When I did, the air was still foul but not as rampaging. This was probably due to favourable wind movement. But there was another problem. My neighbour on the left had decided to knock down his house. This was being done manually with nothing to hold back the dust. The smoke from the dump, and the dust from the house next door became a lethal cocktail that hung over the area for the next few days. I had had enough. Give yourself a pat on the back for trying. You put in a good shift. As for our dear country, we continue to do what we can in every little way. The challenges are enormous but not insurmountable. I missed your post. It has been a while. And this is coming from you that has so much faith in Nigeria. Indeed what will those who can't run away do. Lagos is not the only city that welcomes you with a rubbish dump, rather almost every town I have been to in the east welcomes you with a large dump. I pray it will not become an actual raging fire since our fire service may not be able to cope.